Email marketing is a great way to keep in contact with potential and existing customers, keeping them updated with the latest content, products, and industry news. However, without a strong list of leads, it can be difficult to build loyalty and credibility among your customer base online. In order to build your list and generate leads, it’s important to keep the following tips in mind when using email marketing as a technique. Respect your subscribers – It’s important to be respectful of your subscribers, even if it means they wish to unsubscribe from your emails. By respecting your wishes, your potential customers will respect you and your business. Make it easy for customers to unsubscribe but offering an easy “unsubscribe” link at the bottom of every email. All messages should be on brand, well thought out, and easy to understand in order to gain the respect of those on your list. Give subscribers a reason to read – With the large amount of emails that subscribers receive, it’s important to make yours stand out. Give them incentives to read, whether its deals or promotions, or industry news that pertains directly to them. Guide subscribers through the process – Make it easy for your subscribers to become leads, starting with your email and then moving to the landing page. Give precise call to actions in the content of your emails and guide them through what they can expect when visiting your landing page. By guiding leads through each step of the buying process, you can help them feel confident in their purchase, as one is much less likely to visit your site or purchase if the instructions become complicated. Learn from your mistakes – Ask yourself questions about the success of your emails when generating quality leads. Look through increases and decreases in your open rate, click through rate, spam percentage, action rate over time, bounce rate, compliant rate, unsubscribe rate and the number of unsubscribes to figure out what works and what doesn’t. Through trial and error, you’ll find what strategies work best for you, including the time of day, the amount of emails sent, etc. 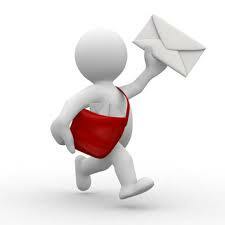 Let LeadGeneration.com help you in generating your leads via email marketing. 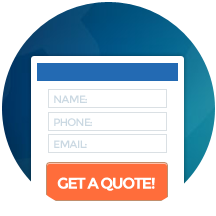 Contact us today to see what we can do for you and your business.